Scrap A Car – It’s Easier Than You Think! Scrap Car – Your recycle-ready vehicle is worth so much more than worn out tires and rusty doors. Your car can help find a cure, promote literacy, help a child, or shelter an animal. When you scrap a car you make a difference to the environment and help keep waste to a minimum, too. Scrap a car by Donating it to Charity. Free Towing or Pick-up in Every Province. Hundreds of Charities to Choose from. Tax Receipt Guaranteed for every donation. Our customer service is Guaranteed to make you comfortable knowing that when you scrap a car, it will be processed with the highest appreciation and respect for her value. We are happy to connect via phone or email, and we will keep you up to date on how things are progressing with your donation. Millions of dollars in donations successfully processed since 2003. Excellent customer service for donors and charities. A+ standing with the Better Business Bureau. Tax receipt guaranteed with every donation. 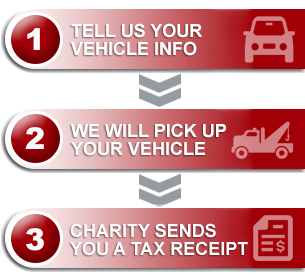 When you scrap cars in today’s market through Donate a Car Canada, you’re making a difference to the charity that matters most to you. You can choose any registered Canadian Charity to gift (we have over 800 to pick from)! We will ensure their receiving process is easy as well. There are no fees charged to the charities at any time so they can put every one of your donation dollars to work for the cause you care about. We take care of you and your scrap car. We take care of your charity.